Does it live up to the hype? The little gun with big gun performance. Does the P365 Live Up to the Hype?! No gun has received the attention that I’ve seen the SIG Sauer P365 receive since its announcement in January just before SHOT Show. It gets this attention in all fairness though because when a gun shakes up the current single-stack 9mm market that has been dominated by Glock 43’s and M&P Shields, it’s understandable. For the last 6 years, gun owners have bought into the idea that a concealed carry gun needs to be slim, lightweight, single-stack, somewhere between 6-8 round capacity and striker fired. Concealed carriers have also bought into the idea that for a gun to fit those requirements that it MUST be single-stack. Enter the SIG P365. It is all of those things—slimmer than the Glock 43, lighter than the Shield. It has a phenomenal trigger not just for guns in this class but even for any modern defensive pistol. And then there’s the fact that it just happens to hold 10+1 rounds in its standard configuration. That’s four more rounds than the G43, and three more than the M&P Shield. Readily available 12-round magazines boost that to nearly double the capacity of the Glock. And you wonder why people are going nuts over this pistol. But they’re also freaking out over some other aspects of the pistol, and not necessarily in a positive way. 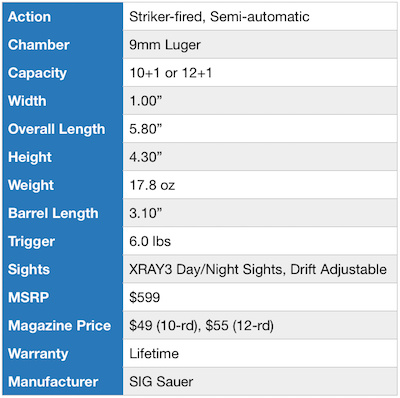 But first, let’s talk about some of the features and specifications of the gun. I first got my hands on the P365 just before SHOT Show at a special SIG SAUER Range Day Media event. My good friend, Kyle Lamb, was there as well doing some demonstrations for SIG. 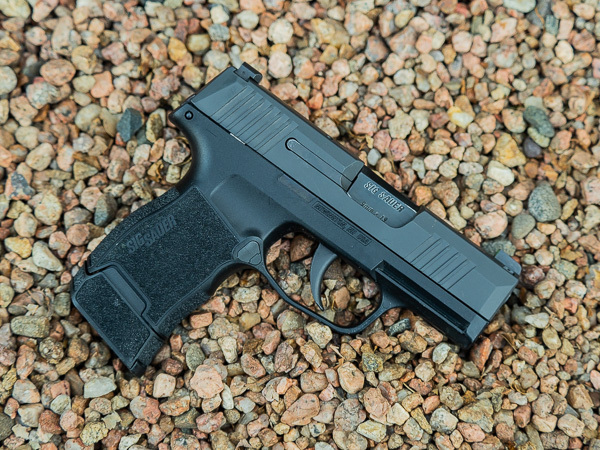 Besides being involved in the excitement surrounding the P365, Kyle also has a gun he designed in collaboration with the team at SIG based on the P320 platform, the SIG SAUER X-VTAC 9mm, which is a pretty nice piece of hardware itself. Kyle did a little demonstration of the P365 on camera with me, and the shots you see me fire there are literally the first I sent downrange out of this little beast. I call it that because it is like the Little Engine That Could … small in size and stature, but big in performance! Right away I knew there was something pretty special about the little gun. Placing it in my hand I was immediately surprised at how good the grip felt. 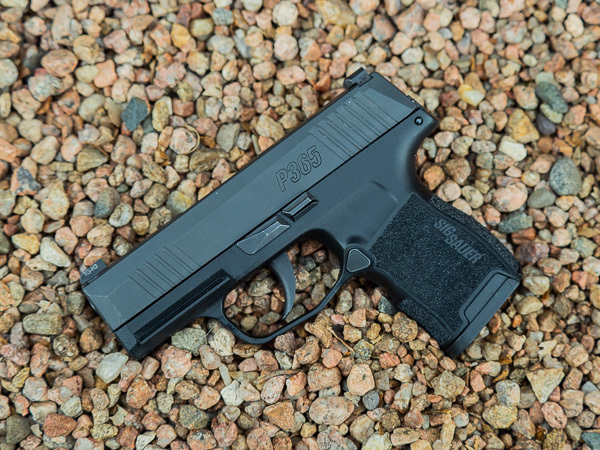 The P365 takes some of its design cues from the X-Series of P320 pistols particularly in its stippling and the smooth undercut of the trigger guard. The undercut allows the shooter to get an even higher grip on the gun for greater control and flatter shooting. The undercut on the trigger guard of the P365 is a really nice feature allowing the gun to sit even lower in the hand. The backstrap and beavertail of the grip is cut so that the gun sits nicely in the webbing of the hand. One thing I noticed is looking at the back of the slide where the striker cover plate is located when holding the gun, it sits very low in the hand indeed. 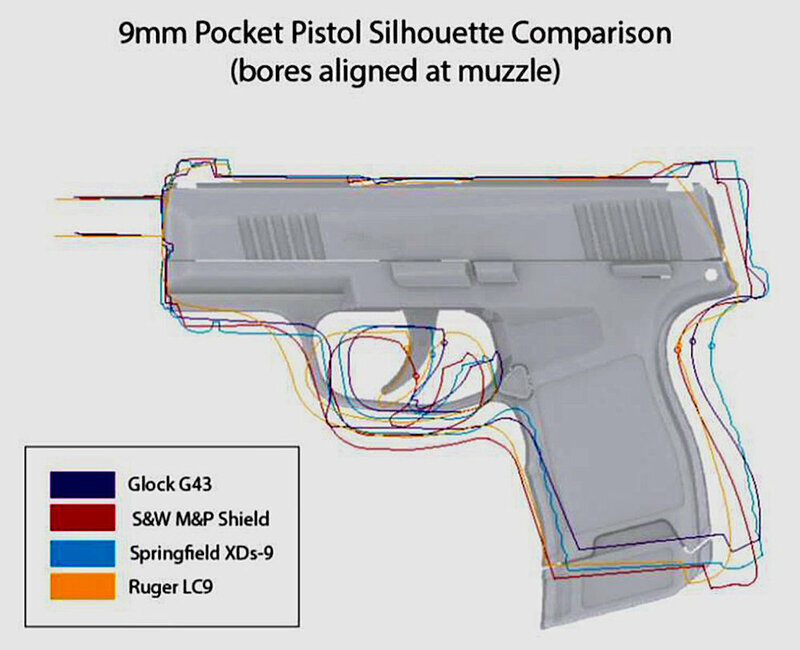 I saw a graphic online with the outlines of 3 of the most popular single-stack 9mm handguns overlaid and compared to the P365. Analyzing the graphic I could see that the P365 has a bore axis height as low as anything out there. 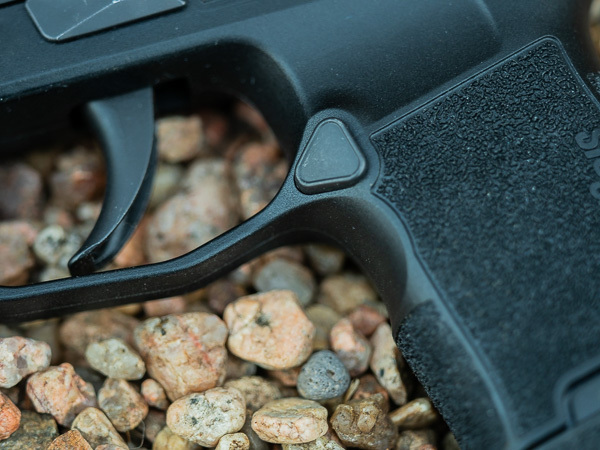 This is surprising because SIG Sauer guns, especially in the Classic line of pistols, have established a reputation of having a bore axis that is quite high compared to competing designs. Not that this has kept me from shooting them quickly and efficiently. Bore axis height is an overrated factor, but regardless the SIG P365 performs exceptionally well in this regard. Stippling on the grip is effective and comfortable. The gun sticks in the hand like it should without being too aggressive for more sensitive skin. The next thing I noticed right away was the trigger. My first trigger press actually surprised me. I wasn’t expecting it to fire so quickly and easily. The manufacturer states it should be a 6-pound trigger. I have not put a trigger scale on it to test, but I would say 6 lbs. seems about right. But the trigger FEELS lighter than that. It is deceptive. I’m not sure what sorcery (you will see similar references throughout this review) is going on there, but it is a very nice, light, crisp trigger for a striker-fired gun. The P365's trigger is fantastic, smooth, and crisp on the break. The reset is short and aids in quick follow-up shots. The trigger reset is fantastic as well. It is short and distinct. The initial take-up of the trigger is light and free. The travel of the trigger once you “hit the wall” (the point where you feel resistance in the stroke) is about a quarter-inch. Pressing the trigger through the stroke is smooth and even. Once it breaks there is no perceptible over-travel. Instead of having the trigger break near the rear of the trigger guard opening, it breaks with about 3/8” open space behind the trigger. The length of pull is such that shooters with smaller hands will have no problem working the trigger, and larger-handed folk will be able to use it comfortably. The trigger on the P365 breaks at about 90-degrees far forward of the rear of the trigger guard. This not only feels better, but it has a positive effect on accuracy as well. The original P365 came with SIG-Lite Night Sights. I have owned several SIG pistols with these night sights. They are good, serviceable tritium-based sights that are far better than what many firearm manufacturers put on their stock pistols. However, early into the P365 launch, it was discovered that many early customer’s pistols were breaking the tritium vials due to the extreme recoil velocity of the slide. These early pistols were sent back in and replaced with SIG SAUER’s new XRAY3 Day/Night Sights. The XRAY3 sights are fantastic! They are bright in daylight or low-light conditions. The front sight is a tritium vial surrounded by a bright green circle that is very easy to pick up in rapid strings of fire. 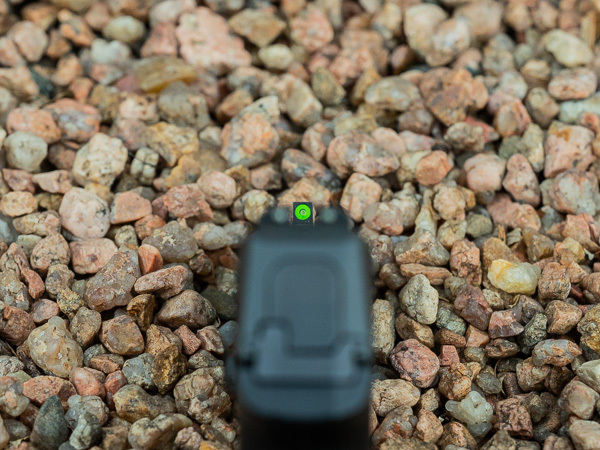 The XRAY3 Day/Night Sights are excellent, very visible and bright in both daylight and low-light conditions. The rear notch sight in use works more like a blacked-out rear sight in daytime use, but it also has two tritium dots that show up very nicely in low light. While you can see the two rear dots in the daytime, I don’t really notice them. What you get while shooting quickly is a very bright front sight that is easy to find in the rear notch. The next thing I discovered about the P365 is that it is easy and pleasant to shoot. I call it the “little gun that shoots like a big gun.” This is true of the felt recoil and muzzle rise that occurs when firing, but it is also true in how accurate the gun is and the ease with which confidence comes to hit your intended target. While some smaller guns can be challenging to shoot at distance or at small targets, my experience with the P365 is that if you see that bright green front sight on the target and press the trigger smoothly, you WILL hit what you are aiming for. The P365 points well naturally and is very controllable for a micro-compact pistol. With my Glock 43 it just seems I have to concentrate much more on the sight picture and even then it sometimes isn’t enough when shots go where I do not expect them to. 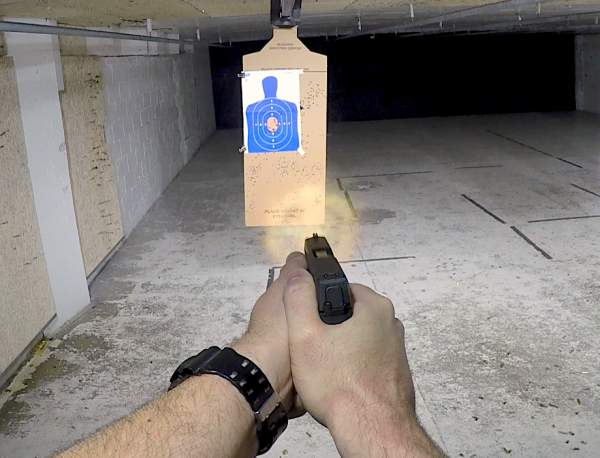 My confidence with the P365 is very high, and I find myself shooting it in situations and more difficult shots that I normally reserve for my larger, duty-sized guns. That is some serious voodoo magic. This thing seems to shoot flatter than some of my much bigger, heavier guns. Your mileage may vary depending on how effective and tight you grip your gun, but it is still seriously impressive. This is where the P365 gets the greatest amount of attention and rightfully so. I don’t know what kind of witchcraft the engineers in Exeter, NH are employing, but for the size and thickness of the P365 to be able to fit 10 or 12 rounds into a profile that doesn’t look any bigger than an S&W Shield, it is pure witchcraft I’m telling you, pure witchcraft! The reality is that engineers at SIG SAUER were instructed by then-new Pistol Product Manager, Phil Strader, to begin designing a new micro-compact pistol but to start first by designing a double-stack magazine capable of holding at least 10 rounds and making it as small as possible. The result? Three new patents just based around the magazine that made the rest of the design much more easily achieved. The P365 with the three different magazine configurations: 10-round flush, 10-round with extension, 12-round extended. The gun ships with two 10-round magazines, one with a flush base plate, and the other with a slight pinky finger extension. Oddly enough, after shooting several hundred rounds I came to almost prefer the flush baseplate when using the 10-round mags. Due to the trigger guard undercut and other grip design features, I am able to sneak about half of my pinky onto the grip of the gun. But even if I couldn't get a full grip on it, I never once felt compromised in shooting the gun well unlike other competitor's guns. A 12-round magazine is also available, and while it extends the grip length, it is still just barely longer than some other guns with standard capacity magazines in them. 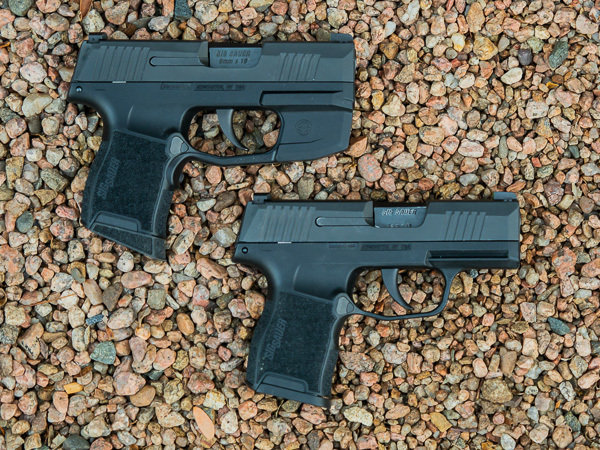 The M&P Shield with a factory 8-round magazine is longer than the P365 with the 12-round magazine. Wizardry!! Harry Potter would be proud! Even better than the capacity and the ability to still remain a very concealable gun? The 12-round magazine really makes the P365 feel and shoot like a totally different gun. It FILLS the hand, and it FEELS great! A closer view of the P365's 10 and 12-round magazine options. You can really tell which mag gets the most use! The magazines are well-constructed metal-bodied, double-stack magazines. 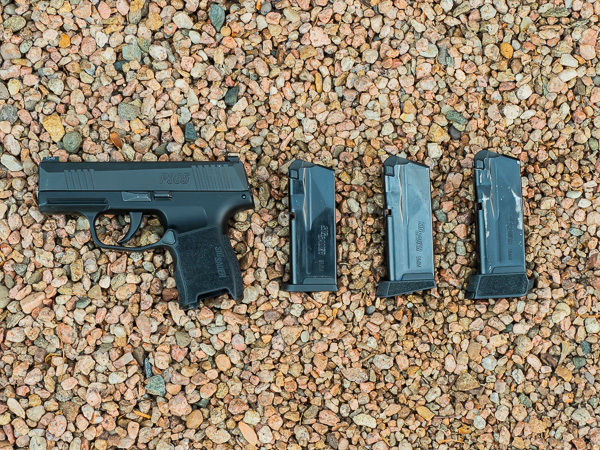 They are pretty much what to expect from SIG if you are familiar with their other mags. Excellent quality, great performing magazines, but they come at a cost. Currently, there are no aftermarket magazine options that I am aware of, so you’ll be getting your fill of extra mags direct from SIG. The SIG SAUER P365 is accurate. Testing across many different loads, it exhibited very good groups. I am not the most skilled bullseye/target shooter (I much prefer to go FAST), but the gun is accurate enough for a small defensive tool. Group sizes were consistently around 3 inches at 15 yards (didn’t have a longer range to test with at the time). My greatest challenge to shooting more accurately was the width of the front sight post as it covered up much of the target from 15 yards and out. But I am confident that if you used a Ransom Rest to test inherent accuracy, I am confident the results would be very good. One of the big difference makers with this gun is the trigger. I don’t need to rehash the point, but it is a very shootable trigger; it lends itself to easy, accurate shooting. This is the big “elephant in the room” part of the review. Much has been said about the reliability of the P365 in the months since its release. A number of people including some respected reviewers have indicated that the gun may not be quite ready for prime time, that it was released too early, almost like a “beta version” to be tested by the gun-buying masses. Return-to-Battery (RTB) Failures—In the first month or so of release, there were a number of reported RTB failures. This seemed to only affect the very first guns that hit the streets. I shot a couple of different early models and didn’t have a single RTB issue, but a number of people did. Some of it could have been ammunition issues, but I think there were some legitimate concerns. 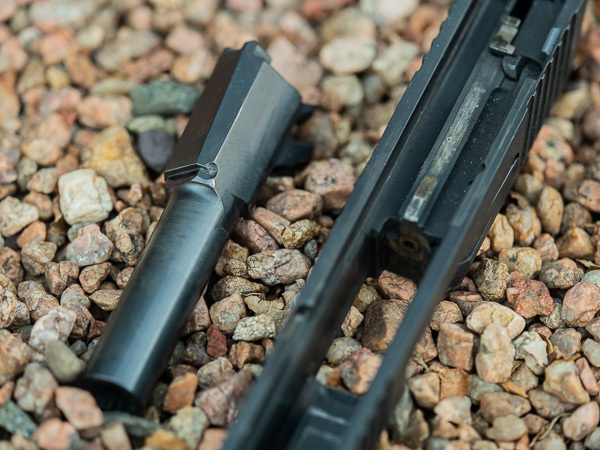 This was fixed by SIG on a warranty basis for existing owners and on all newly manufactured guns with a slightly stronger recoil spring assembly (RSA). To date, with the two different P365’s I have in my possession, I have not had a single RTB failure. 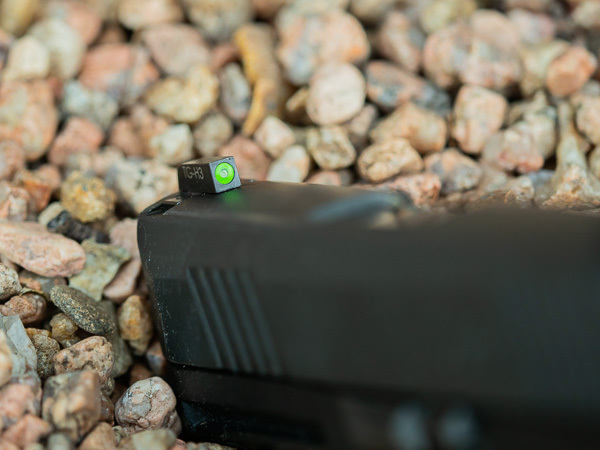 SIG-Lite Night Sight Failures—Some early guns were affected by faulty night sights. This was fixed within a few weeks, and guns had their sights replaced, and all new models shipped with the new XRAY3 Day/Night Sights, which are awesome! (See above.) Also, there were some reports of sights actually coming loose in their sight channels. I’m not entirely certain just how widespread these issues were, but they seem to have been addressed with no new reports in some time. The front sight really stands out in all lighting conditions. It is hard to miss! Barrel and Slide Peening—Another “issue” that received quite a bit of attention was peening. This peening was caused apparently by the slide excessively banging into the corners of the barrel hood and also between the barrel cam and locking lug. I never thought it was much of an issue. Even if peening occurred, I didn’t think it was going to result in some massive failure point several thousand rounds down the road. Apparently SIG Sauer took some steps to address this, but either way, no one’s even talking about this issue anymore. Even on this early model P365 with a couple of thousand rounds through it, there is some light peening, but it doesn't appear to be causing any long-term issues. Trigger Return Spring Failures—Shortly after that it was reported (and Tim at the Military Arms Channel experienced this on camera) that some guns were developing a trigger return spring failure. I’ve seen it mentioned that some owner’s springs broke, but I’m willing to bet most of the failures were instances of the spring popping out of position. This seems to have been rectified, or at least I haven’t seen any new reports of it in some time. The trigger return spring is turned horizontal which helps with lowering the height of the gun. Primer/Striker Drag—Much attention has been given to so-called primer drag where the striker remains in contact with the primer as the barrel begins unlocking from the slide. It is believed that this is the reason for a number of broken firing pins. I am a little unclear on this. The reason being that I have other guns that exhibit primer drag, and it is something that is more common with small, striker-fired guns. Part of the reason for this is due to the shorter rearward travel the slide/barrel takes on recoil prior to unlocking. On larger guns the slide and barrel stay locked together for longer and provide more time for the striker to retract before unlocking. I have witnessed primer drag on a number of other smaller guns including from Glock, Smith & Wesson and others, although it appears the drag marks on the P365 may be a little more pronounced which is probably why it garnered more attention. This is what primer drag looks like. Is it an issue? Some think so, but I did not experience any issues after 5,000 rounds. Image courtesy of user Kpj313 on Sigtalk.com. Broken Firing Pins—There were a fair number of guns that were reported as having broken firing pins. Many believe that the primer drag is the culprit for causing this. I suppose it is possible, but let's first establish that the firing pin itself is much harder than any primer. Regardless, there are plenty of documented instances of broken firing pins. It is unclear exactly how many of these occurred, but according to SIG Sauer it is a limited number. There are even companies that have developed and released hardened stainless steel replacement strikers as an aftermarket part for those that are extremely concerned about this issue. 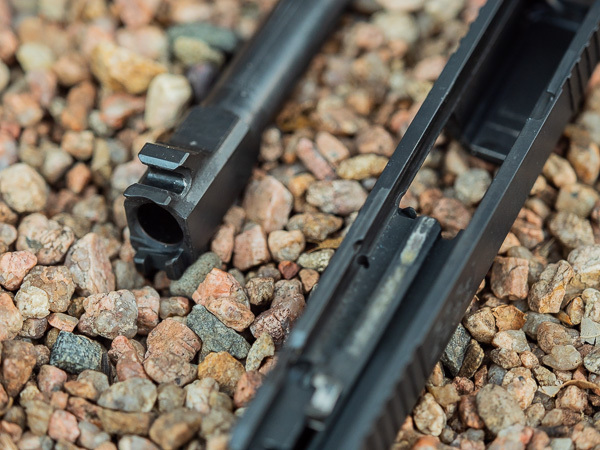 It would seem, however, as reports of broken firing pins have decreased substantially that this is less and less of a problem affecting the product line. 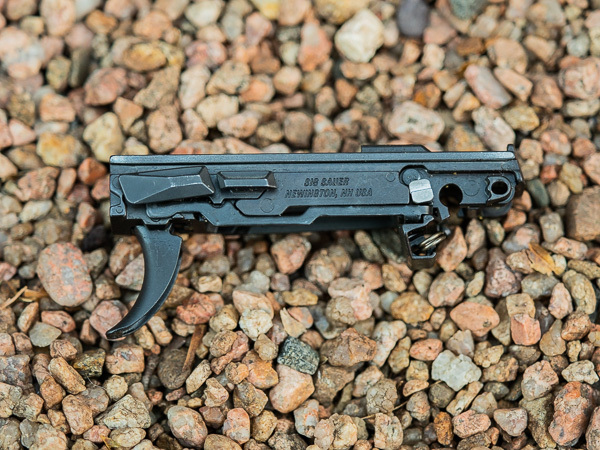 SIG Sauer has since redesigned the striker and reevaluated their manufacturing supplier due to some inconsistencies and out-of-spec hardness and tempering. Some firing pins were known to be too brittle, and the primer drag likely did not help and rather exacerbated the problem. Failure-to-Lockback (FTL)—I’ve seen this mentioned, and in the case of one serious “reviewer” he has tracked this statistic with monotonous consistency. I personally don’t believe many of these FTL’s are legitimate in that something with either the slide stop or magazine follower failed to work, causing the FTL. I think 99% of these are shooter-induced. What do I mean? 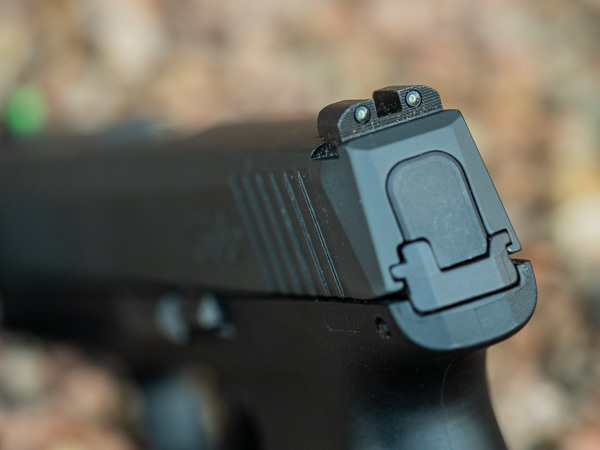 Due to the size of the P365 and the designed location of the slide stop, I believe many shooters are inclined to ride that stop with their dominant hand thumb. They may not notice it’s an issue just by looking at their grip, but I suspect due to the small lightweight gun that the 365 is rotating the slide stop up into their thumb. I have not experienced any FTL’s with either of my 2 guns. But I am confident when the shooter uses a properly-developed grip, they will not have this issue. The problem is that most shooters do not have a good grip, and their lack of this has not been an issue on other guns they’ve fired. But it is exacerbated on this platform for whatever reason. Various ejection/extraction/feeding issues—I think many of these are ammunition related especially in the case of steel and aluminum-cased cartridges. Most of the malfunctions I have seen in the P365 platform have occurred with steel/aluminum-cased ammo. People will counter with, “Well, my [X brand of gun] has no issue with shooting steel or aluminum-cased ammo!” That’s a fair point. But we cannot make the case that the gun is going to get us killed by not being reliable in a gunfight simply because it doesn’t like cheap ammo. We don’t carry (I hope) cheap ammo in our defensive guns anyway. I had one malfunction out of over 5K rounds fired that was with brass-cased ammunition, and it was a +P round (more on this in a moment). Everything else was either steel or aluminum. This was one of only 3 malfunctions I personally witnessed with brass-cased ammunition out of over 10K rounds (mine and others). This one occurred during a class I taught. A NOTE: While many of the above problems appear to be addressed, even if a person were to have a problem with their gun, SIG Sauer has one of the best warranty and customer service programs in the industry. My interactions with SIG's customer service department have been nothing but positive and professional exchanges. At this point, I should mention that I have been testing two different P365’s. SIG promised to send me one for review, but I couldn’t wait so I purchased one myself that was made in mid-February. You’ll note that this is just a few weeks after they were officially released. The other gun finally arrived from SIG in late May, and it was manufactured in the first week of May. I could have contacted SIG and said, “Never mind on sending the gun, I have one already.” But I was interested in getting my hands on another one made at a totally different time for comparison. I was hearing all these bad things, and I figured the more guns I could experience the better for my test data. By the time the demo gun from SIG arrived, I had already put almost 2,000 rounds through my personal gun. Throughout the remainder of the summer, I fired an additional 3,000 rounds through the two guns, about half-and-half. So I ended up with about 3,400 rounds fired through my personal gun and 1,600 rounds through the evaluation gun from SIG. Some of these were fired in pure evaluation, and quite a few were in different training courses. Testing was done throughout with minimal cleaning. The somewhat loose standard that was followed was no cleaning and fresh lubrication applied only once every 500 rounds. You will see from images in this article that my guns are still dirty. I am personally a believer that it is much more important that firearms are well lubricated than being perfectly clean. Now that I am officially done evaluating them, I will give them a very thorough cleaning. I did very minimal cleaning throughout the 5,000 rounds fired as part of this evaluation, only stopping about every 500 rounds to make sure the P365 was well lubricated. Throughout testing, nearly 30 different varieties, bullets and weights were used to check for ammo compatibility issues. The gun ran perfectly smoothly until I started shooting the Federal aluminum-cased ammo. This was about 200 rounds in after shooting a variety of SIG Sauer FMJ loads. 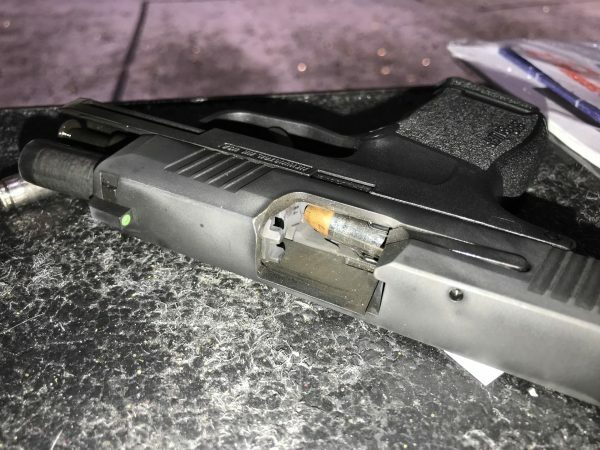 On the 212th shot, the Federal aluminum 115-grain case failed to extract and a double-feed occurred. 16 shots later the same thing happened. I made it through the remainder of the aluminum-cased ammo (about 80 rounds) without further issues. Failure-to-Extract (Double-feed) malfunctions were quite common when using steel or aluminum-cased ammunition. Brass-cased ammo worked very well. One failure-to-feed malfunction occurred at around 700 rounds with one load of 124 grain Winchester Ranger-T +P. 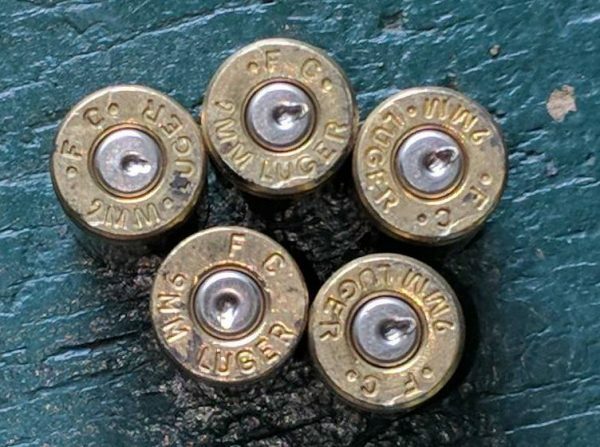 Considering the other 4500+ rounds of brass-cased (including several hundred nickel-plated cases and dozens and dozens of +P rounds as well) ammunition that was fired without trouble, I considered this a fluke. The malfunction that occurred was actually the next round in the magazine taking a nosedive into the magazine body. The one failure-to-feed I experienced was with a +P Winchester round. At around 1500 rounds I fired my first steel-cased rounds through the guns. Neither one would run reliably with them. In fact, I averaged about 3 rounds per 10 or 12-round magazine that would double-feed when shooting steel-cased ammo. Talking with other P365 owners, this seems to be a hit-or-miss issue. Some report having no problem shooting the stuff, others have similar problems like mine. I also tested the new SIG Sauer 365 FMJ and V-Crown 115 grain loads in the P365. These two cartridges are designed and loaded to shoot and feel identical between them, the idea being that a person can practice more with the cheaper FMJ rounds and get the same performance as far as velocity, recoil impulse and point-of-impact/point-of-aim as the V-Crown JHP defensive loads. 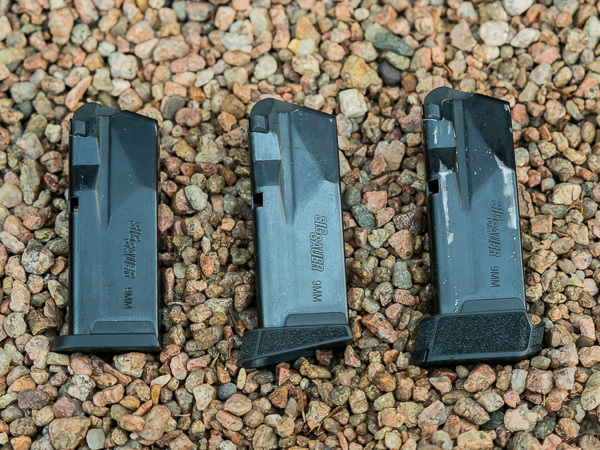 These rounds have also been optimized for the shorter-barreled P365. I liked how they shot very much. I tested the 365 V-Crowns extensively including in ballistic gelatin, and the performance was excellent. A full review of this ammunition is forthcoming. 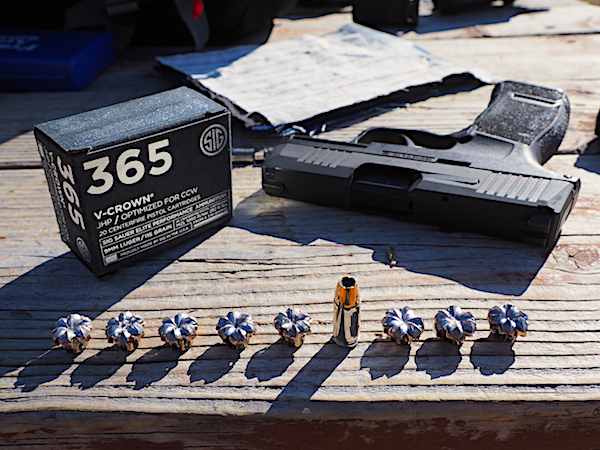 The SIG P365 performs exceptionally well with the 365 V-Crown 115 grain loads optimized for a gun like the P365. The 365 V-Crowns also performed very well in ballistic gel tests for a defensive load. 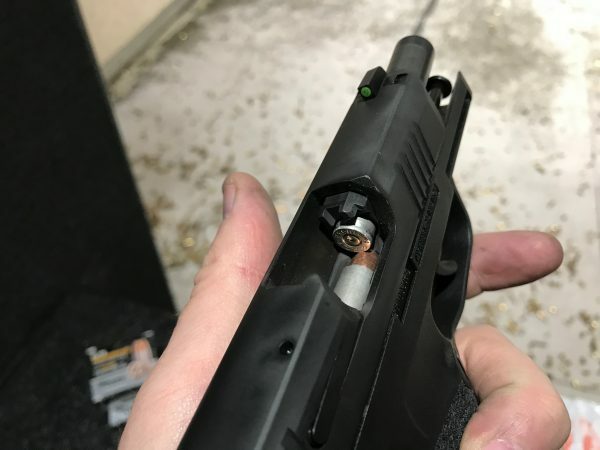 Finally, around 2,500 rounds on my personally purchased P365, I experienced my first, legitimate brass-cased round failure. This was with a Federal Premium 115 grain brass-cased cartridge. It was a failure-to-extract malfunction. I have since had no other malfunctions with either of the two guns. Overall, when shooting even just decent quality brass-cased loads, the P365 exhibited a 99.96% reliability rating. I have spoken with numerous P365 owners, and I have personally witnessed several P365 owners fire their guns. Some of these were in handgun courses I instructed this year. I estimate that I have seen approximately an additional 5,000-6,000 rounds fired through about 10 other P365 pistols. While I have seen a few malfunctions occur, and some seemed to experience more malfunctions than I did including with brass-cased ammunition, I can still count the TOTAL number of malfunctions I have witnessed in all these other guns on less than two hands. Worst-case scenario, the P365 is still 99.85%+ reliable. This represents a little more than 1 malfunction every 1,000 rounds, I estimate about 1 in every 750. A nice photo of the P365 just because … and I have a lot of photos! How does this compare to other well-established firearms? My Glock 43 has had the same number of malfunctions in fewer rounds fired. I regularly witness malfunctions from a variety of semi-automatic handguns including Glocks, Smith & Wesson M&P’s, Rugers, etc. All guns have issues. Sometimes they are ammunition caused and I personally feel many shooters rationalize the malfunctions they do experience and claim that their gun is “100% reliable.” I haven’t met a 100% reliable semi-auto yet. Shoot them enough, and you will experience failures. I personally feel that a failure rate of no more than 1 in every 500 rounds is an excellent standard. This represents a 0.2% failure rate or a 99.8% reliability rate. You will see that the P365 falls above this standard. Do I consider this good enough for personal defense including EDC (Every Day Carry)? Yes, I do. But as always with any gun, your mileage may vary, and you should do your own testing of a minimum of 500 rounds without issues with YOUR carry ammo. It is a freaking awesome gun! 1. The grip—I think the grip is too “shallow.” It is a very small gun. The width of the grip is less than an inch wide which is fine. But I think the distance between the front-strap and the back-strap of the grip could have been slightly increased. That said, I think it feels very nice in the hand. I like the contouring, the stippling, the length—there’s many great aspects of the grip. I understand that it is a balancing act of building a gun that is compact and concealable but also shootable for a variety of shooters and hand sizes. I think they did an excellent job, but if I was king for a day, I would have stretched it out just a bit. SIG P365 grip with extended magazine base plate. 2. Failure-to-Extract Malfunctions—in my experience this malfunction is the most common one to occur with the P365 platform. Also known as a “double-feed” this is where the fired case fails to be fully extracted, and the slide is able to continue rearward and pick up the next round shoving it into the rear of the still-chambered empty casing. To clear this MOAM (Mother-Of-All-Malfunctions) it requires the shooter to lock the slide to the rear, strip the magazine from the gun, rack the slide multiple times, insert a loaded magazine, rack the slide, and chamber a fresh round. 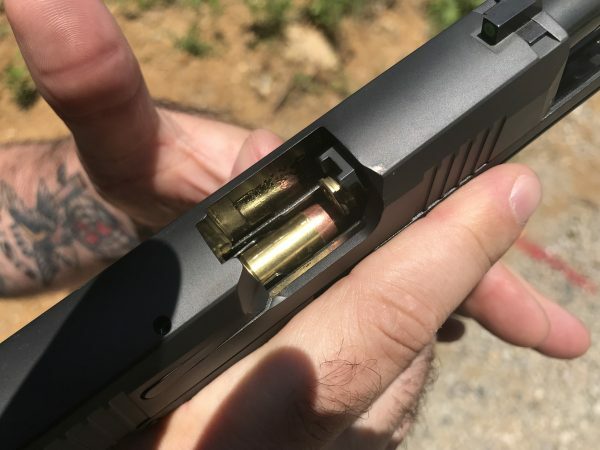 In contrast to FTF (Failure-to-Fire) and stovepipe malfunctions that generally only require a Tap-Rack to clear, you can see how this double-feed malfunction can really cost a shooter some time to clear it when they might not have that much time in a fight. Due to the nature of this, it is a little concerning that WHEN the P365 experiences a failure, the double-feed malfunction occurs at a higher rate when compared to most other handgun platforms. I believe this is because of the unique design and small, ultra-compact size. My personal belief is that the gun is unlocking a tad early while gases are still elevated locking the empty casing in the chamber. This results in the extractor slipping off the rim of the case, and we get our double-feed malfunction. Now to be fair, I only experienced this with steel and aluminum-cased ammunition which are less “slick” than brass-cased ammunition. To get really technical, there may be something to it with the modulus of elasticity of steel and aluminum being substantially higher than brass which would result in steel and aluminum cases contracting after firing back down to an extractable size at a slower rate than brass. I don’t know, I’m just thinking here which can be downright dangerous at times! 3. The Front Sight—while the new XRAY3 Day/Night Sights are excellent and very visible, I actually feel the front sight is a tad wider than it needs to be. Or the rear notch could be wider. The width of the sights is basically the same as what you’d find on SIG’s full-sized guns, which when you shorten the distance between the front and rear sights, the front sight starts to fill the notch more and more. Typically for most people, having a little more light on either side of the front post in the notch is a little quicker to center and send the next shot. But this is a minor complaint because I clearly shoot the P365 just fine. The front sight is nice and big, but it comes at the cost of filling the rear sight a little much for my taste. 4. Magazine Release—this is also a minor issue I have with the gun, and it may be specific to me, but I think the mag release could have been designed differently. 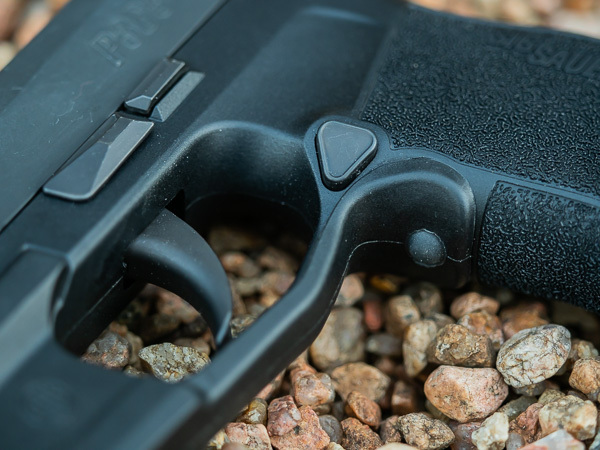 The P365 has a raised mag release button which shape follows the contour of the grip. The P320’s have a flat raised button. I think a hybrid approach would have been better—flat, but have the rear of the button start flush with the grip. My issue is that because the grip is so small, occasionally when I grip a little too firmly with my support hand, during recoil my hand will accidentally depress the mag release. So I have had to relax my support hand grip slightly to avoid this. In analyzing the instances where this has occurred, I’ve determined that the palm of my support hand is making contact with the rear portion of the button that’s raised above the grip surface. 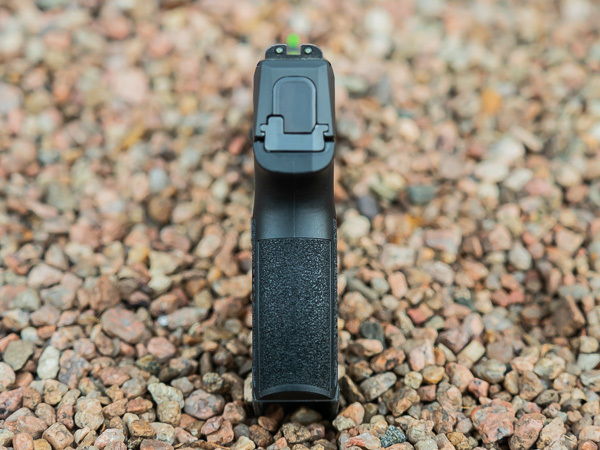 Starting the button flush with the surface and manufacturing it to be flat would still enable positive activation when desired, but would likely eliminate the accidental dropping of the mag. 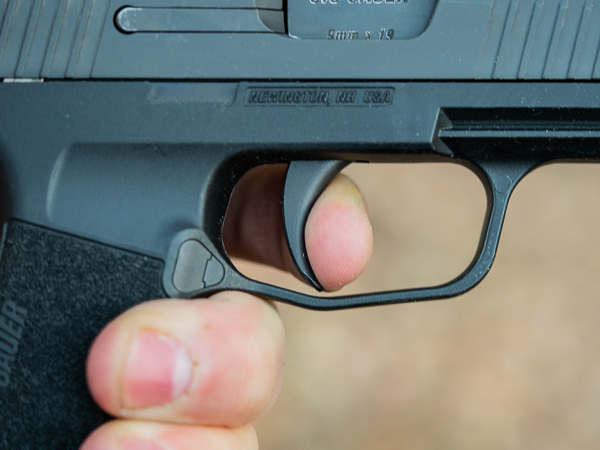 The grip is small enough that virtually any adult hand and thumb will still be able to reach the mag release even if designed as described above. I'm nitpicking here, but I would like to see a different design of the mag release. You also see the detail of the FOXTROT365 control button here. 1. 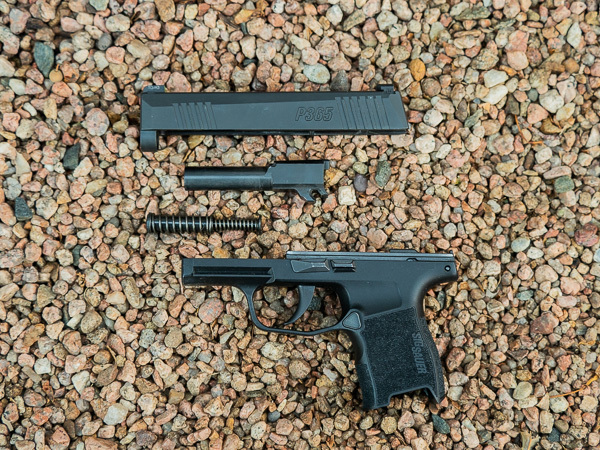 Accuracy—for its size, the SIG Sauer P365 is REALLY accurate. 2. 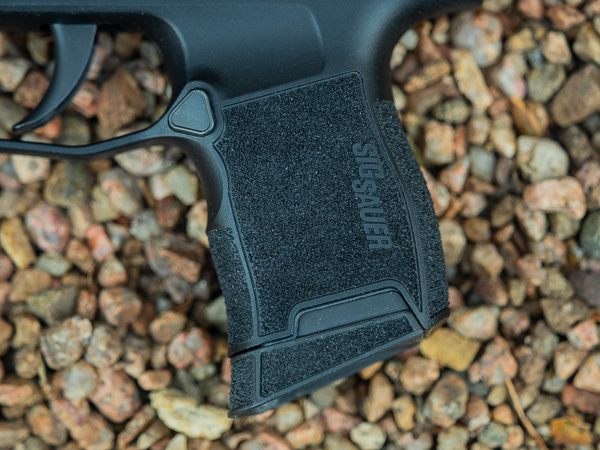 Modular Chassis Construction—While SIG Sauer does not really advertise this fact, the reality is that the gun is built similarly to the P320 with a serialized “frame” or chassis that can easily be removed from the grip module. This means the potential exists for much future innovation and design improvements from both SIG and third-party aftermarket manufacturers. 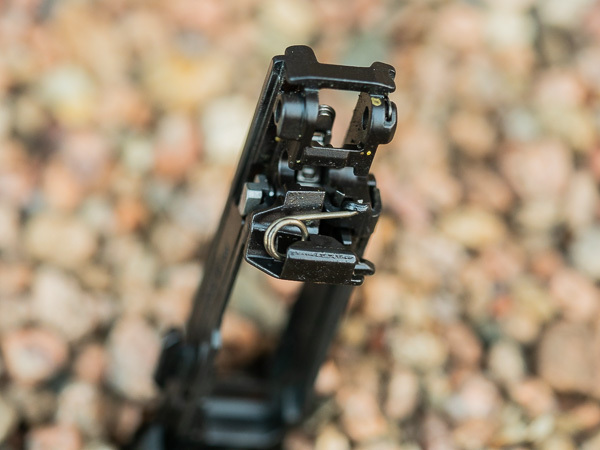 It is also convenient if a person wants to have two different grip modules with different accessories (such as one with a mounted FOXTROT365 weapon-mounted light) that would allow the owner to quickly swap between other setups. I recently picked up a FOXTROT365, and in my limited initial testing, I am quite impressed, and I look forward to putting it to use. The P365 is modular. How exciting, the possibilities!! 3. Feel of the Gun—It just feels good in the hand. The contouring and texturing is excellent. The ergonomics are good. The slide serrations are effective. 4. 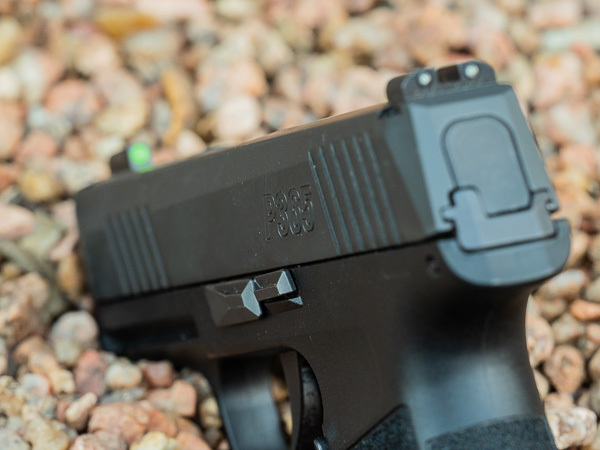 Trigger—There is no other small striker-fired handgun on the market with a trigger better than the one found on the P365. I also feel that SIG was very smart in their approach to have the trigger break at 90-degrees and in the “middle” of the stroke as opposed to at the rear of the trigger guard. Besides the trigger weight, smoothness and break being really good, the position at which it breaks is part of the secret as well I think. It breaks before the finger can really overwrap the trigger causing any sort of disturbance to the aiming of the gun prior to it being fired. 5. Size and Capacity—What’s not to love about 10+1 rounds (standard) and 12+1 rounds (extended) in a micro-compact size and form?! This is the first micro-compact gun that actually tempts me into thinking my Glock 19 and SIG P320 Compact—both 15-round capacity guns—could be adequately replaced. Packing the P365 around is a cinch. It disappears on my body in either the Tac-Lab M.T.R. or GrayGuns/PHLSTER Classic holsters, and there was tons of holster support for it from the get go. You can tell from the wear on the button snaps that I really like carrying the P365 in this GrayGuns holster based on the PHLSTER Classic design. 6. Shootability—I come back to a statement I made earlier. It is the little gun that shoots like a much bigger gun. I LIKE shooting it! The P365 is a winner. 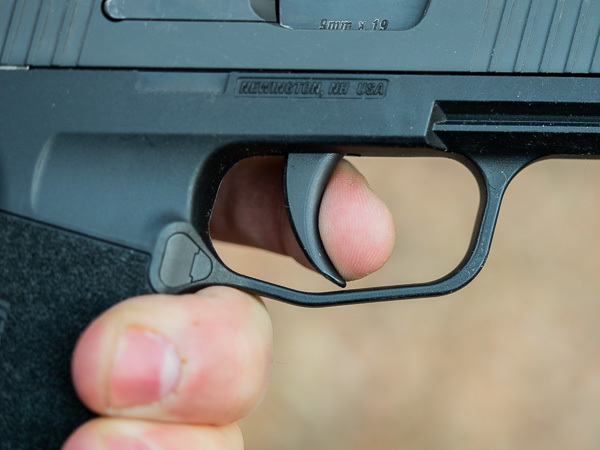 13 rounds in a tiny form that is easily concealed and is easy to shoot. Magic, I say. The P365 is really nicely balanced with a fully loaded 12-round extended magazine. These mags saw a lot of range use this summer! Still going strong. The extension and baseplate are part of the patents issued with this new design. A close-up of the fitment and detail of the 12-round extended magazine. 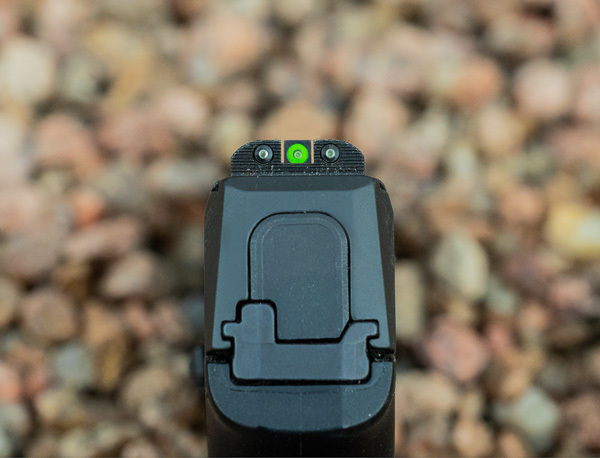 I like the XRAY3 Day/Night sights especially how the rear sight tritium vials are very visible but appear “blacked out” during daylight conditions drawing your attention to the front sight. The P365 is really easy to takedown and field strip and does not require the trigger to be pulled as part of the procedure. The FOXTROT365 Light is an aesthetically appealing match for the P365, easy to operate and plenty bright. 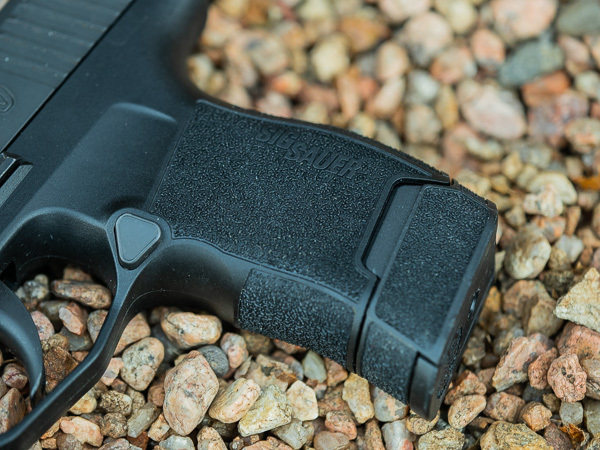 The P365 is super thin, lightweight, but the texturing makes for a confident, repeatable firing grip. A view of the backside of the GrayGuns holster for the P365 showing the integrated wedge which makes this gun invisible even with the 12-round mag. The Tac-Lab M.T.R. (Multi Threat Response) holster is another favorite of mine. Well-designed. Superb craftsmanship. With “sidecar” spare mag pouch. Thanks Riley, for a thorough and honest review! I have been quite happy with my EDC for the last 18 months or so (FNS 9C), except for the mag release… a bit tight. But After reading your review, I am pretty anxious to wrap my hands around a P365! Awesome! Thanks for checking out my review!! Great article, Riley! too plan on a red-dot site for my P365. Do you mind me asking where you plan on getting your P365 milled and what red-dot site you are going with? It’s still a little early to answer some of that as far as the actual optic. Right now the obvious choice is the Shield RMSc, but it is not exactly the most durable optic. So I’m hoping somebody will come out with something new at SHOT Show 2019 that will be the size of the RMSc but with durability more on par with like a Trijicon RMR or Leupold Deltapoint Pro. Milling would be done by Culper Precision in Provo, Utah. They’re good people. Looks like a great concealed carry handgun for off duty or back up. I just can’t wrap my mind around the many different types of failures. I’m not worried about a simple jam that can be cleared. I worry about a catostroohic failure. I have about 2,000 rounds through my G43 without a failure. I have one on my side right now! I love this gun. Right out of the box I knew it was going to be a keeper. I carried a Kel-Tec PF9 for a couple of years and now that I have the P365, it has been relegated to the ‘class gun collection’! LOL! Thanks for sharing your input. older P226 P229 but not new. It seems Sig rather let customers QC test. I don’t risk my life for their financial well being. I don’t think the handling of the P320 fiasco was as “nefarious” as what some think. Talking with a few people over there, I think hindsight is 20/20 and they feel like it could have been handled better or differently, but I have seen many people accuse Sig of some pretty dark stuff. As for the QC thing…there is ZERO financial incentive for them to release any products that are not ready for market and will require any sort of major recall or repair program. I guarantee you it costs them WAY more money to go about it that way. The same is true of safety-related issues. It is far more costly for them to take a risk like that and end up in a major class-action lawsuit. I just don’t buy that companies like Sig would intentionally play Russian roulette with peoples’ lives for the sake of profits. I say it again, there is ZERO financial incentive to do so. @Riley I bought one last week. 150 rounds thru it, no issues with feed,fire, or eject, what I did notice was mags impossible to load by hand after 3th round as the follower gets hung up. Not a gun issue but a engineering one, the second is more troubling, severe striker drag. None of my other guns do this, even LCP2. I hope Sig is using better materials for their firing pins for this generation, mine was built in Dec 2018. I bought this because none of the gun stores around could get a Ruger LC9sPro, seems they are all sold out. Hope I didn’t make a $500 mistake. I don’t think you made a mistake. I can’t speak to the magazine issue. I haven’t experienced or seen that. If you are able to shoot a short video of you loading a magazine demonstrating what is going on there, that would be very helpful for me. I’m curious. As for the striker/primer drag…I don’t see it as an issue. Also, a reminder, that as mentioned in the article, my gun with the most rounds on it is the one made in February of 2018. Still going strong. No issues. Cool, but I prefer milled slides for red dots on pistols. I don’t care as much for the kits that use the rear sight channel. First I’d like to say thanks for taking the time and energy to do such a thorough review. Next, awsome job! I enjoyed to read you findings and thoughts. I was on the edge on my seat the whole read. I have felt all alone in my love for this little gun. I constantly get negative remarks from people that dont own or have even shot the p365. So when I say they are crazy for believing reviews and not trying one for themselves, they just dismiss me and go on there way (probably glock lovers). In all I too have an early released model and am clearly thousands of round through it with no issues to speak of. I bought a P365 and like it so much that I’ve ordered a second, and sold my three Kahrs. Awesome ergonomics, sights and trigger and a 50% capacity advantage over the competition. 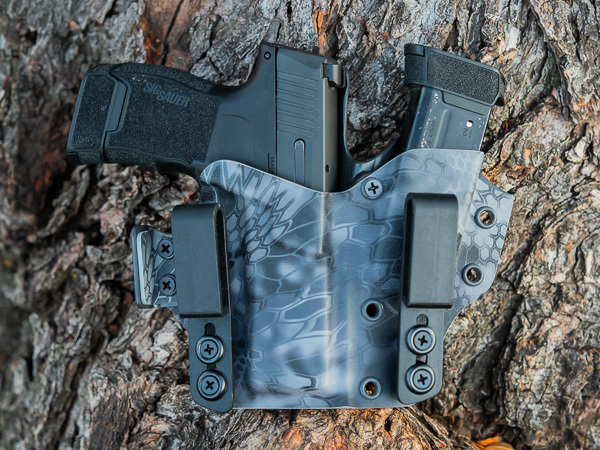 It disappears in an IWB holster – and you don’t have to wear MC Hammer pants – and it’s small enough to wear in an ankle holster. The only issue I’ve experienced is during reloads – the pistol is so tiny that if I don’t adjust my grip, the ejecting magazines hang up on my palm. That’s awesome, Brad! I’m glad you like it so much!! Recieved our rental 365 back in May. Less then 50 rounds and had trigger bar break. Sent in, was repaired and now has thousands thru it without a failure. Trigger bar?? Or the trigger return spring? I’m not sure about the bar could break, but what do I know? Either way, it appears you were one of the unlucky few. Glad it’s working so much better for you since the repair! I usually don’t read reviews because it’s either a bash fest or fan boy that paid to make it sound better than it is .. So I wanted to thank you for being honest and really putting in the work on this review!! I shelfed my Glock 43 & sold my p938 & purchased the p365 as my EDC & I love it. My one issue is that the stippling is a little rough on my side but it’s not horrible I have gotten used to it!! That’s the interesting thing about guns…different strokes for different folks! For you, the stippling is a little rough, but to me I think it is about right and could actually be a little more aggressive. There are also plenty of other guns out there with grip texturing that is more rough. But thanks for the kind compliment about the review!! Did you notice wear on the followers in your mags? I’ve got about 500 rounds through mine, both 10 round mags and 3 12 rounds, and they all show what I’d consider excessive wear on the followers. BTW, I had ZERO failures in those 500 rounds without even cleaning or oiling it when I first brought it home. Mine is a July or August 2018 model. OBNXS1, you asked about something that I totally meant to mention in the write-up…the follower wear. I have seen numberous discussions about this “issue” but I don’t think it’s actually an issue. I posted on a Facebook group a few months ago of the followers on 5 or 6 different magazines I own from different manufacturers (Glock, Springfield Armory, and others). They ALL show follower wear. Some worse than others. But if it doesn’t cause any issues, then besides the OCD-like irritation of the aesthetics of the magazine followers, I don’t consider it an issue. Thanks for reading!!! I have a P365 (October of 2018 production) and have had relatively little range time so far due to the weather and the season. I find it fits my hand wonderfully with the 12 round mags (I bought 3). So far, my biggest complaint is the mag release: it is awkwardly uncomfortable to access and depress. I find I have to shift my grip away from a “shooting grip” in order to release it. I’m hoping either SIG or the aftermarket will have an improvement soon. I “shift” my grip slightly on almost every gun I own in order to depress the mag releases. With practice, it can be accomplished very quickly and consistently. But I agree with you on wanting to see a slightly different design on the mag release. I like the decocker on the P232, so will I have an issue with striker fire? Erica, good questions. Unfortunately, it’s been a while since I racked the slide on a P232, so I don’t recall well enough for a reliable comparison. But based on my experience of handling a lot of different guns, I would say that the P365 is a little on the “heavier” side of things as far as racking it goes. That said, with practice and proper application of technique, it should be easy to accomplish. Please let me know if I can help you any further in the matter. As for decocker, as long as you have solid safety discipline and carry the gun in a quality holster, you should have no issues. But I would recommend spending an hour or two on the range with a qualified instructor to gain confidence and experience. Let me know where you are located, and I can see if we have any instructors in our network that would be a good resource for you to look into! Gene, I just checked the latest approved list on the State website, and I did not see it listed yet. Perhaps next year! I love my P365. I have small hands and have had no issues or malfunctions after many thousand rounds fired. I believe most complaints, issues and probably many malfunctions are due bad technique, inappropriate grips or general rough handling. I have had orders of magnitude greater issues with my Glock 19 Gen 5. Thank you for your review. Yet, I still carry a compact p320 with Romeo 1 every day, although I shoot the “iron” sights on the P365 nearly as well, because I feel more comfortable with the red dot for urgent situations. I was looking for a CC pistol to take the place of my Glock 27 which I find just a little too thick to grip with confidence for such a small frame weapon. Your review of the P-365 has whetted my curiosity enough to visit my local gun store. Thanks! Right on! Glad I could help!! I just bought one of these for daily carry. I’m usually with my Glock 43, but liked the Sig because of the increase in round capacity. I prefer to carry without a holster, using a Clip Draw. The problem I have with the P365 is the trigger pull. Its WAY too light for me to carry comfortably with a round in the chamber without a holster. To me having to take the 2-3 seconds to rack a firearm when needed could cost me my life. I should have checked this before purchasing. I was so excited over this thing, but now I’m not too sure. I ordered the Sig ITP holster for it so I’ll try carrying it that way to see if I like it. Great review you’ve got here though. 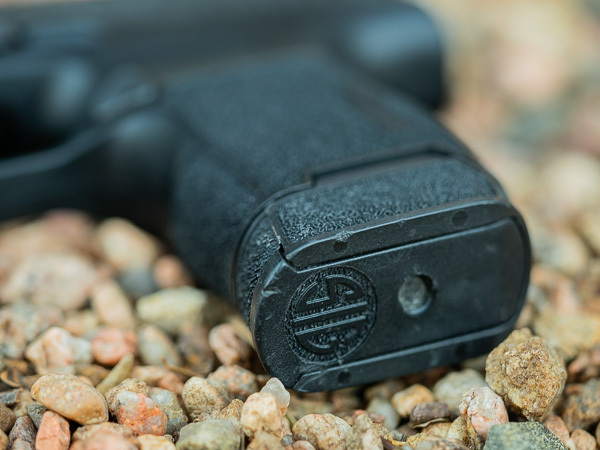 I always like learning about new holsters and manufacturers I didn’t know about before! Thanks for this tip even though I’m not the biggest fan of 100% leather holsters. But these ones look like good ones! Thank you, Doug! I always recommend carrying in a good quality holster. 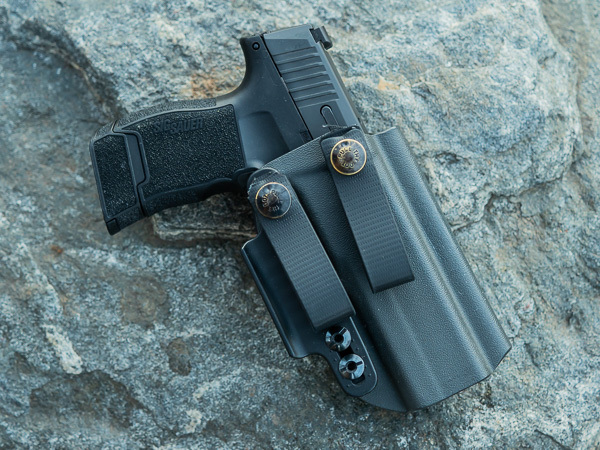 If the holster you ordered is the same one I think it is, it is actually made by Blackpoint Tactical, and they make pretty good stuff, so good luck!! Riley – to your issue with the mag release, I am a lefty and encounter the same problem hitting the release when I fire my p365 right handed. That’s the reason I did not swap the mag release to be a lefty setup like I do on my other guns. Unconventional, but it’s a carry gun, I’d rather have all 13 rounds than risk dropping a mag by accident in a gunfight. One more addition – for the first time, my slide did not lock back yesterday at the range. You mention it above, but as a lefty there is no way I’m riding the slide. Only happened once, Just wanted to throw that out there. Yes, I have seen a few reports of this from some shooters. I think it is most likely shooter interference with the slide stop. Of course, it is entirely possible there just happened to be a failure between the magazine follower and the slide stop. I’ve seen almost every type of semi-auto have this type of issue at least once. It’s just a fact of life when carrying a semi-auto. I fell in love with this gun ever since I found it hidden on the bottom shelf back row sanwiched in with a bunch of ruger lc9’s , Remington 380’s and a few Taurus 9mm , picked it up and instantly thought wow !!!! Cool! Well, I certainly think it beats the guns you mentioned. Carry on! Great article and write up on this gun, thank you Riley. I have not owned a firearm in years and have been looking for something small and compact to carry. Still doing some research but the P365 is currently tops on my list. Bill, I am glad it was helpful for you, and I am glad you are getting back into gun ownership again! Please feel free to ask if there’s anything else I can help you with! What an EXCELLENT review….best I’ve read in a long time. I’m selling a gun to get me one. Thanks for a balanced fair descriptive overall right on the money review. Thank you for the kind words, Gunny! Good luck with the new gun! What an EXCELLENT review. I have read many reviews and some don’t give all the data like you did. I have two p938 that I carry without any problems. I have a Glock 43 and have shot 200 rounds and found the magazine release a problem as discussed. With the experience with the p938 I will get rid of my Glock 43 and purchase a p365 in six months to see if there are any new upgrades. Glad you found the review helpful, Roger! I just went to the range today and shot this for the first time. I am 4’11” and have arthritis in my hands. I loved this pistol. I can see many happy hours with it. Thank you for your wonderful review. I just like to add a small woman’s experience because I don’t see many of those. Thank you for sharing with the rest of us your experience. I am glad to hear you like the pistol! Can you tell me about purchasing the Sig P365 with the Manual Safety on it? If not, is it a part that can be added on by a local gun builder? Lastly, will this weapon get on the California Approved List? No idea if it will get on the approved California list. It may make it easier to get on the list by the new safety model being made available. You should be able to order the new model with the manual safety by going to your local dealer. I don’t think it is a part you can order and have installed. Great, insightful and thorough review! Thank You. Riley, overall a great review! Thanks for the effort and write-up. One issue… you mentioned that you inadvertently activated the magazine release with your support hand while firing (during recoil). Did this not result in a malfunction during firing? If so, I didn’t see it mentioned. Nope. It just release the mag slightly which was still held in place by my large-ish hands. The gun continued to run flawlessly until the mag was empty even though the mag was sitting 1/8” lower! Excellent review. Using my wife’s computer. I just bought a P-365 last week. Haven’t bee able to get to the range yet. I was concerned over all the incidents reported. The dealer is a distributor and assured me that the one I have is all clear. Manufacture date is Sept. 14, 2018. We will see very soon. I chose it over the S&W M&P M2 only because of it’s smaller size. (not much) but some. The mag. capacity wasn’t an issue. It was only $50 more anyhow. Most people don’t realize that all the added updates takes up the cost of the lesser one. Thanks again for covering everything in question. Years? I don’t think of it in years, but more like hours and consistent ones at that. I can tell you that I have spent thousands of hours on the range and at home doing dryfire practice. Doing 15-20 minutes a day working on specific skills consistently for about 7 years is where the big gains have been achieved! 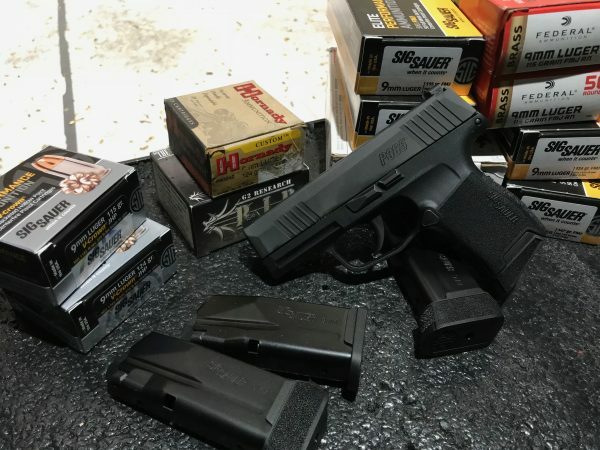 Wow, this is probably the best review of the P365 I have seen yet…..but… I am still on the fence as to buy one or not though your final summary gets me one step closer. I am retired law enforcement 32 yrs with lingering death threats so I am seeking the best conceal gun I can find and reliability is HUGE. My final hurdle to get over is the breaking firing pin issue as this totally shuts you down. Other FT… malfunctions can at least usually be worked out. I would love to own/carry this gun as I am sure it has the potential to be a better gun than the Ruger LC9s I currently carry but I have the LC9s currently “figured out” and it is being reliable now though not always (I did not like certain ammo nor the extended mag). I could carry my Glock 19 gen 5 which so far is perfect but it does not conceal as deep as I usually need. I hope they take the firing pin/striker issue serious and do something…. I am waiting to see. 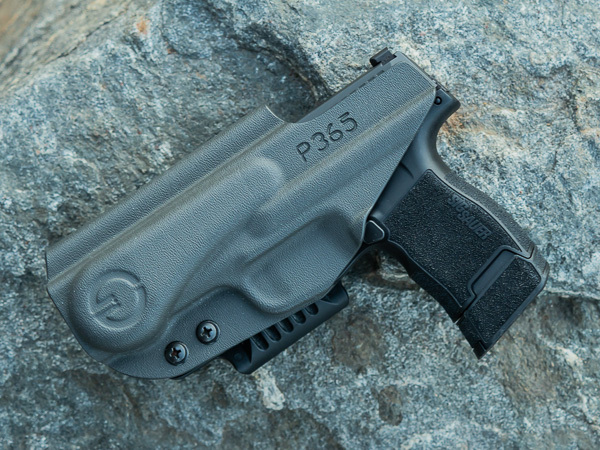 There are no ongoing, widespread, or design-based issues of any type related to the function of the P365. A common consumer concern is primer drag, but primer drag is a completely normal occurrence with this firearm (and other subcompacts) given its size and slide speed when cycling. It is nothing to be worried about. As with any product rolling changes are made in the manufacturing process to parts but there are no persistent issues with failures with any of these models. If you are experiencing a consistent and specific failure, we would be happy to bring the pistol in for evaluation under warranty as is the case with any SIG SAUER firearm. I sure hope you’re correct Aaron Weeden, our lives depend on it. Phenomenal gun set up, we the consumer need to know we can rely on it like we could our Glocks for so many years. Reliability at the end of the day trumps all design. I’ve never trusted my life with ANYTHING but a Glock but I have to take you at your word. If you get this malfunction business behind you, sales are going to skyrocket yet again WELL beyond what you’ve ever seen before! Purchased one in December which had a manufacture date of Nov 18. It seems most complaints and failures came from early models when the p365 first rolled out. Both my buddy and I have over 1000 rounds each through ours without a hiccup. Eats and shoots everything we’ve put through it including snake shot. We’re both retired LEO and have time to test weapons. Very hesitant to make this my primary carry at first, but at this point I am satisfied with it’s function and reliability. I spent 32 years as a police officer, 20+ years as a firearms instructor. Have seen my share of malfunctions. Carried a Glock for most of my career, love them, but hate their feel. P365 feels great, shoots great and carries 13 rounds,,,,,to bad Walther didn’t come up with this gun. How is this gun for women? Do you have a link for a review from women? Hmm…I don’t think I have a good link for a review “by women, for women.” But in talking with a number of women, the P365 seems to be a popular choice. It’s proportioned nicely for smaller hands. It’s compact and comfortable for concealed carry. The trigger is nice and doesn’t tire the finger out quickly. If you can, find someone that owns one or go to a range that rents firearms, and try it out for yourself. I think you’ll be pleasantly surprised!